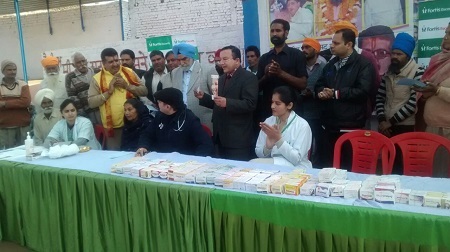 Fortis Escorts Hospital, Amritsar organized general health camp for the people of Kaler Kalan and neighboring areas on 22nd December. The participants were screened for diabetes, blood pressure and heart ailments. The camp witnessed participation from over 170 people.